Has January turned you into a go-getting, life-changing achiever? Not yet? There's still time. But if your best intentions start to look a little out of reach you might prefer to follow the old-school maxim "charity begins at home." These 10 London businesses all have a cause to support, and are a pleasure to get involved with. Eat, drink, shop, and be merry, safe in the knowledge that you're doing just a little to change the world. This city is built on fried chicken, but generally it’s the £1.99-per-combo-box kind of chicken that makes a finger-licking good night bus snack but is about as nutritious as the greasy cardboard box it’s served in. 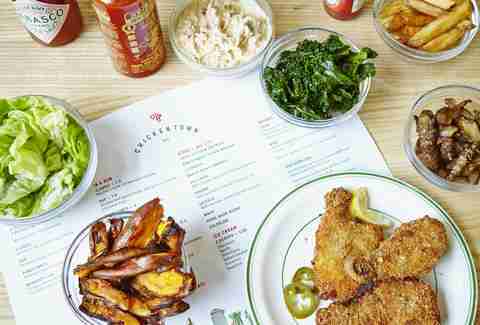 Tottenham restaurant Chicken Town is ruffling feathers with its healthier (and truly tasty) free-range, herb-fed, flash-fried chicken. The non-profit restaurant uses its profits to offer £2 lunch boxes for local school kids so they can get their poultry fix without the junk. Worth crossing the road for. Started by three young feminists in 2014, Birdsong is an ethical clothing company that makes more than £10,000 for charities each year. Their motto – no sweatshops, no photoshop – barely unravels the edges of their worthy work. All the clothes and accessories they sell are sourced from women’s organisations and charities, and the designs are meant to last. They’re also meant to fit real women of all shapes and sizes. They ran their first pop-up in December 2016 but sell online full-time; take your pick from London-knitted jumpers, bright bomber jackets made in Malawi or earrings made from waste magazines in Swaziland. Running low on bogey jam? In need of some tinned fear for your nemesis’ next birthday? 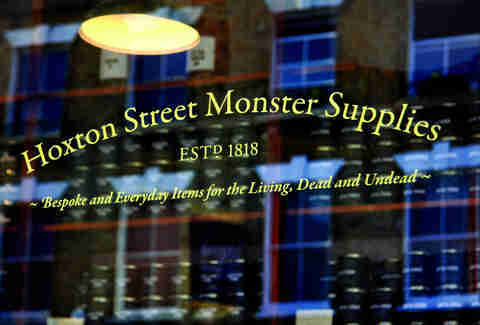 Drop by Hoxton Monster Supplies for some of London’s most gruesome and covetable goodies. The volunteer-run shop supports the Ministry of Stories, an organisation providing free writing workshops to kids aged between 8 and 18. Sign up to help with running the shop or the mentoring sessions. Or just make their cubed earwax your new favourite snack. This cute Peruvian place opened in Soho just last year but is already making central London smile with regular Deed to Feed events, which see teams of volunteers assemble to deliver hot food to local homeless people. If you’d like to help out next time then keep an eye on their Facebook page for details. If you can’t make it then simply pop by for a pot of ceviche or delicious arepa next time you’re nearby to make sure they have the funds to keep up the good work. 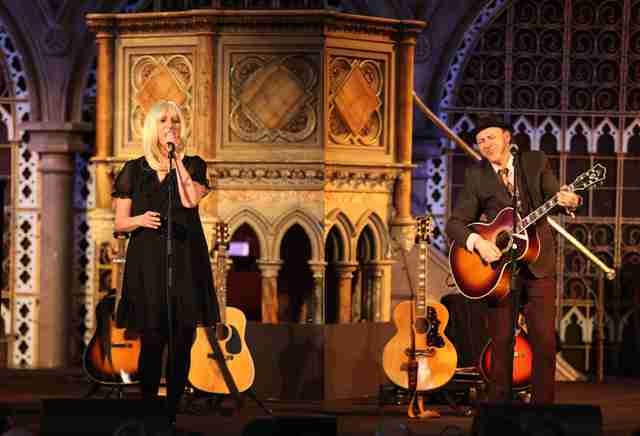 There are many great reasons to visit the Union Chapel. 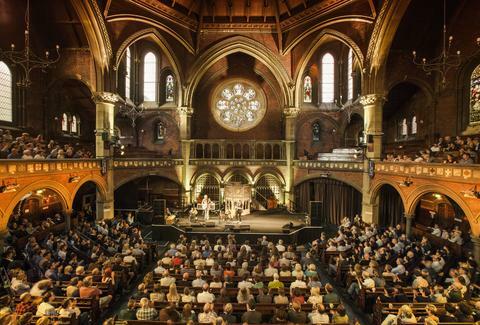 The Grade I-listed Gothic revival church is probably London’s most spectacular music venue, they host top notch comedians, put on film screenings with live orchestral accompaniment and throw a charming summer fete. But the working church is also a drop in centre for the homeless, and their on-site charity Margins provides training in the service industry for those who really need them. So when you do visit get there early and tuck into a home-cooked meal in the bar -- it will help more people than you’d think. This pub is around 700 years old, but it’s only been in the hands of artist Pauline Forster for a decade or so. She’s made it the laid-back, lively, late-night pub that is loved by so many fun-loving Londoners. She’s also been working tirelessly to campaign against the luxury flats that are threatened for the land next door, as they’d mean an end to the late license the pub depends on. Her ‘Save the George Tavern’ t-shirts have been worn by the likes of Kate Moss and Sir Ian McKellan, so if you fancy supporting them by buying one you’ll be in A-list company. 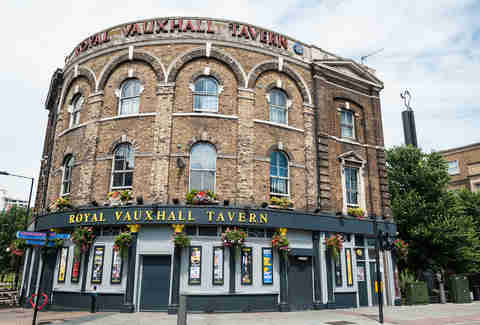 There are few LGBT venues in London as legendary as the RVT, a beautiful ex-music hall that hosts the finest alternative nightlife and is a late-night fun palace that welcomes people from all walks of life. Since it was sold to property developers in September 2014 its owners and fans have been campaigning to protect the building and its usage so it doesn’t become just another block of fancy flats. Experience a night out there for yourself and you’ll find out why. Duck into this timbered Ship of Adventures, where Hackney schoolchildren aged 9-12 can get some help with their learning, pirate-style. Older landlubbers can browse their lovely gifts, books and greetings cards, or stop for some coffee and cake in the café. Just remember to cross their palms with silver -- it’s for a good cause. Blimey! NFL Adds Yet Another Game in London for the 2017 Season. 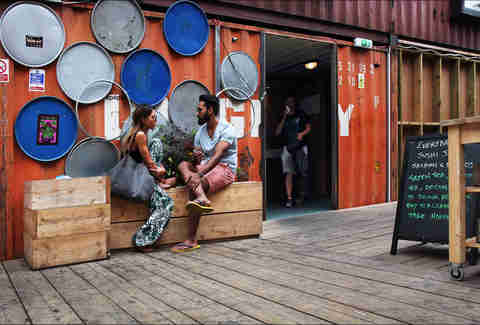 A colourful pile of shipping containers that’s all about the community, Pop Brixton is home to cute shops, fantastic restaurants, a weird and wonderful range of events and even the occasional party. Space is affordable so that small, independent businesses can get a foot in the door, and every member gives time each week to share skills with others. Visit for great fish and chips, prosecco on tap, vintage clothes and plenty more besides. They keep bees and chickens, they grow flowers and herbs and they started out life in a load of bins. Now the King’s Cross Skip Garden has expanded beyond the yellow rubble tubs, but still uses reclaimed building materials for its beds and buildings. The café serves lunch and treats made using ingredients from the garden, and once the school workshops are out of the way you can help to tend the greens on their Twilight Gardening evenings. Ashleigh Arnott, a London-based writer who gives (nearly) as good as she gets.